We use Paypal to process all Debit/Credit Card Payments. You DO NOT need a Paypal account to pay by card, you can just use your normal card details if you wish. 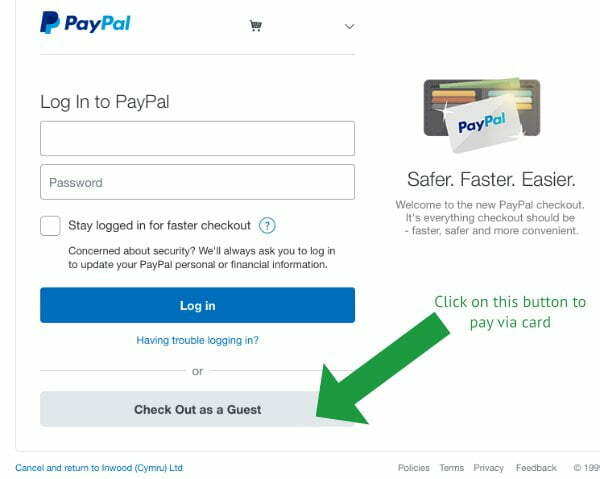 The arrow above shows the button for using PayPal without the need for a PayPal account. If you’d prefer to order over the phone, please call us on 01745 362444. For orders paid via Cheque, items are despatched when cheque has been received and cleared.